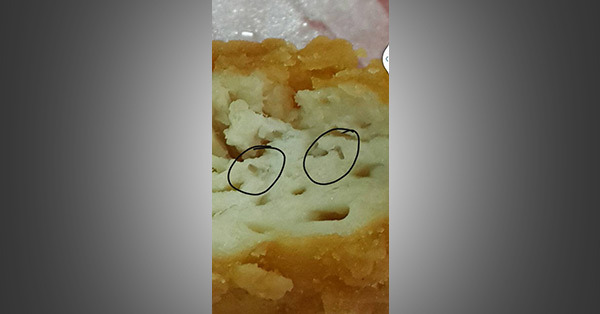 Fastfood giant McDonald's issued a statement through Coolbuster.net refuting a customer's allegation that he found worms in his chicken fillet. Social media user Eeghie Borjal Nucum warned his Facebook friends to be cautious of what they eat after he allegedly spotted worms in the meal he ordered from McDo. We would like to reassure everyone that the food and drink we serve is safe. The incident that took place last July 10 in McDonald’s El Pueblo involving an alleged foreign object found in our chicken fillet, as mentioned by a customer in his Facebook post has been investigated. 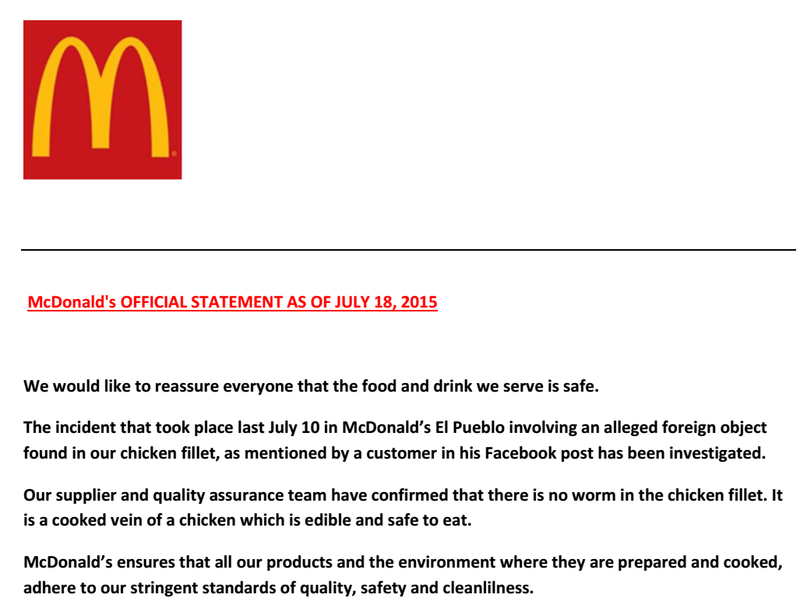 Our supplier and quality assurance team have confirmed that there is no worm in the chicken fillet. It is a cooked vein of a chicken which is edible and safe to eat. McDonald’s ensures that all our products and the environment where they are prepared and cooked adhere to our stringent standards of quality, safety and cleanliness. For his part, the complainant posted a photo of the alleged worms to prove his claim. So far, he has not mentioned anything about McDo's investigation.